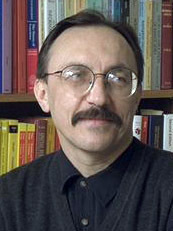 Professor Wojtek Szpankowski is a 2009 recipient of the Humboldt Research Award. This award from the Alexander von Humboldt Foundation of Germany goes to nominees who have provided significant impact on academics within their discipline, and are expected to continue providing cutting-edge discoveries during their careers. Recipients are to hold leading positions in foreign research institutes, and will collaborate with a research institute in Germany. Szpankowski is the Saul Rosen Professor of Computer Science at Purdue. He is a Fellow of the IEEE, the Erskine Fellow, and the Humboldt Fellow. Szpankowski teaches and conducts research in analysis of algorithms, information theory, bioinformatics, analytic combinatorics, random structures, and stability problems of distributed systems.